Instructional design is a systematic approach to designing, developing, and delivering a learning experience. Instructional design supports the learning process by providing experiences that make learning efficient, effective, and appealing. (Merrill & Drake) In other words, it is a method of transferring knowledge or skill in an interesting, and hopefully fun way where you actually learn. 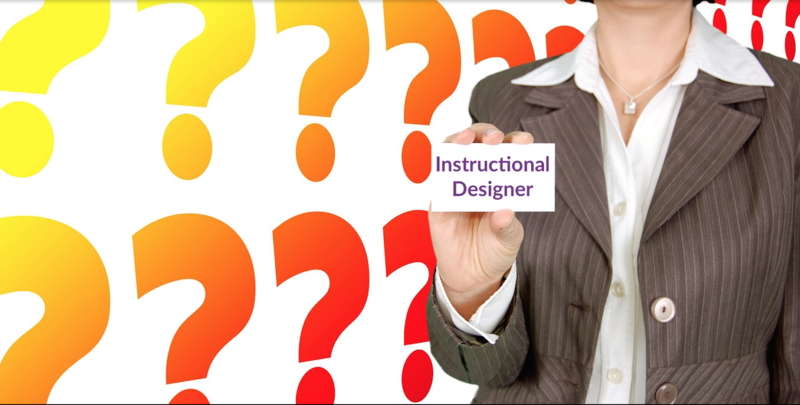 It is likely that you have unknowingly encountered instructional design. If you have ever taken a class, instructional design principles were used to create the course. If you ever experienced formal training in a work environment, the trainer probably used instructional design to develop said training. If you have ever taken an e-learning course, hopefully, it was designed and developed using a sound instructional design methodology. Now that you know the definition of instructional design, let us look at the instructional designer. You know, that person you met who you have no idea what they do. An instructional designer (ID) is somebody who applies a systematic methodology based on instructional theory to create content for learning events. In other words, the ID constructs learning experiences using a series of steps that are grounded in proven educational techniques. What is required for someone to be an ID? First, IDs often have post-graduate in instructional design or instructional technology. Most are skilled in authoring software, learning management systems, and learning assessments. As the design and development of complex learning experiences has increased, IDs often find that project management skills can be helpful to manage the moving parts of the complicated process. Lastly, the most important requirement for an ID is passion for helping others learn. Regardless of close ties to education, most IDs come from disciplines as varied as the IDs. Awareness of instructional design has risen in the last 20 years due to the increase in alternate methods of delivering training and education. It is quite common these days for corporations and institutions of higher learning to have IDs on staff that design and develop e-learning, blended learning, learning games, mobile learning, interactive e-books, and other media-rich materials for learning and training. So next time you are in class, peruse an interactive e-book, or take a game-based e-learning course, you know that there was likely an Instructional Designer behind all of it.